The Super Screener accurately projected the swift and highly pressured pace that resulted in our Vulnerable Favorite pick, El Areeb backing up in the field after battling into the fastest part of the the race. The Super Screener Top Long Shot pick, Prince of Hempt, ended up not being such a long shot as the 5th choice in the field at odds of 5-1 but he did what was expected as he caught the perfect trip behind the speed and then easily passed the tiring rivals for the win while holding off the late closing top Super Screener win pick, Tale of Silence. Here’s what the Super Screener had to say about each horse prior to the race. The Super Screener suggested Exacta wagers including the top pair returned $345. This was another race in which the Super Screener projected a very pressured pace which is exactly what materialized resulting in the Exacta being won by the two horses that were last and second to last in the early going. Give extra credit again to the Super Screener Top Long Shot pick Astrollinthepark who had to endure her 4th straight race in a row in which she was compromised. This time it was both the pace and the track bias at Laurel which has much kinder to closers on the outside. She lost all chance when her pilot took her to the lead and tried to open up on the field to no avail…yet, she held on well to save 4th. Major player next time out if conditions are right. The Super Screener Top Board Hitter pick, Berned, took full advantage of the pace set up and softer competition to secure the no-doubt-about-it win. The Super Screener suggested $.20 Superfecta wager returned $300. Unlike the Laurel Park races, the G3 Red Smith Stakes pace came up dawdling as projected by the Super Screener and even more so with the scratch of St. Louie which moved up Memories of Peter as a viable long shot as the lone speed that would (and did) inherit the easiest of leads and in the end missed the bottom of the Superfecta by just a nose. Once again the Super Screener top Long Shot pick, Spring Quality, came through for a big win. Talk about the perfect trip. He just sat in the catbird seat behind Memories of Peter and then made a very well timed move to catch the win at 12-1 while holding off the fast closing, Call Provision. Our top win pick, Call Provision, ran the best race as he was near the back early with those soft fractions but then came on like a freight train to easily secure second place while prevailing past the wire. 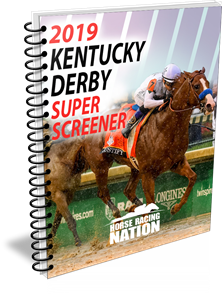 The Super Screener detected Money Multiplier as a false favorite and at odds of 8-5 he failed to hit the Trifecta as he flattened out in the stretch. Clearly, this is not the same horse we saw last year effectively competing with Grade 1 types. It was another excellent performance by the Super Screener top win pick and deserved odds-on favorite, Mr. Misunderstood. This was his 7th win in a row on turf and he just keeps getting better. What made this one more impressive was the fact that he had to overcome that super slow pace set by lone speed horse, Mr Cub. Our second choice, Parlor, did not disappoint and completed the Exacta as projected. He too looked super in that he was even further back in the field and also showed a devastating late turn of foot to easily secure the place spot. Mr. Cub completed the Trifecta and one that the Super Screener had ranked in perfect order. The suggested Exacta wagers returned about $275. Despite the stakes actions being a bit light this coming weekend the fields will be full and contentious providing plenty of value to look forward to. Don’t miss it! ← Previous Story Breeders’ Cup 2017 – Crushing The Cup! Next Story → Mixed Bag of Weekend Results + HUGE Week Coming Up! What a great weekend! Thank you SC! I only made wagers on one race which was the Grade 3 Red Smith. Ihad the Exacta 12 times and the tri for a buck and a half summing my total amount to be about 2 thousand and fifty four dollars returned.much thanks and awaiting next week anxiously.